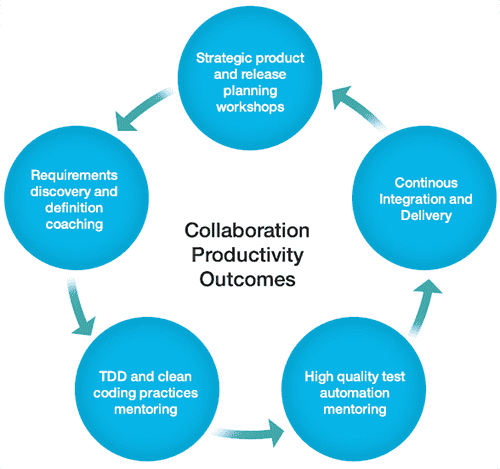 Helping teams go to the next level of collaboration and productivity. John excels at bringing the best out of development and delivery teams. From facilitating your requirements gathering or release planning workshops, through to one-on-one coaching of your developers or automated testers, John can help take your teams to the next level of collaboration and productivity. John has a vast experience helping organisations improve their delivery practices, and can help define a tailored roadmap for your teams. Help teams use collabration, empathy and understanding, combined with highly adaptable planning strategies, to discover and define those features that will truely delight your customers. John excels at bringing the best out of development and delivery teams, both in terms of collaboration and communication, and of the solid technical practices that underpin good software delivery. John’s coaching and mentoring helps teams develop a pride in their work and a continual search for self-improvement, empathy both within the team and towards business and end users, and an understanding of the bigger picture that helps them focus on delivering high quality features that matter sooner. Get the most out of your Serenity BDD test automation suite, whether you are already a test automation veteran or you are entirely new to test automation in Java.